M3 smg & oiler, magazine release-catch guard fitted. 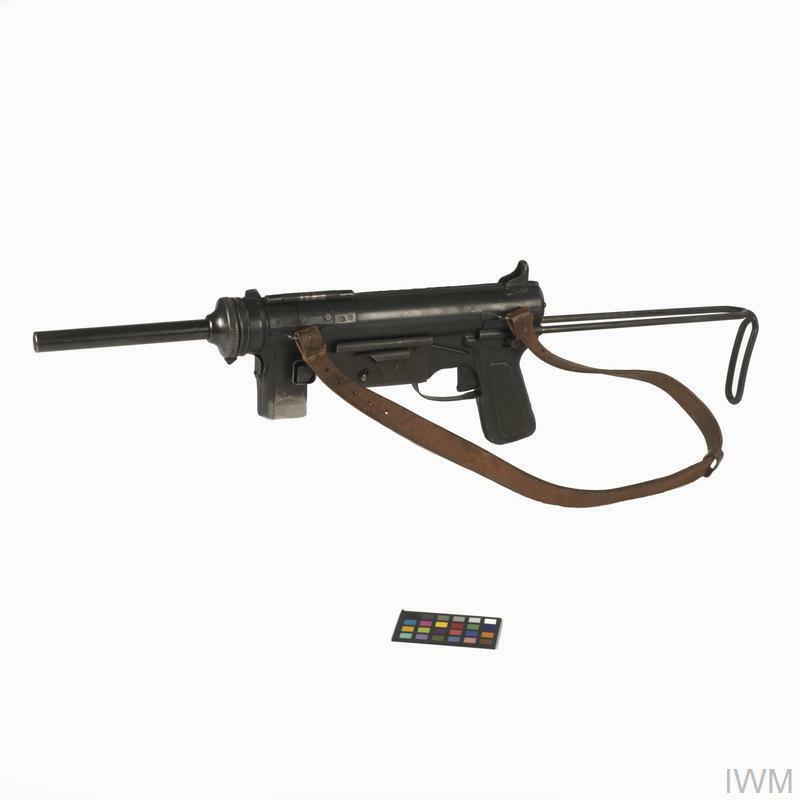 The M3 submachine gun was developed during 1941-2 in response to a US Army requirement for a modern submachine-gun to replace the Thompson. 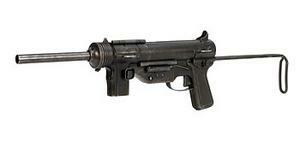 In concept it was influenced by the British Sten gun, insofar as ease of manufacture lay at the centre of its design. 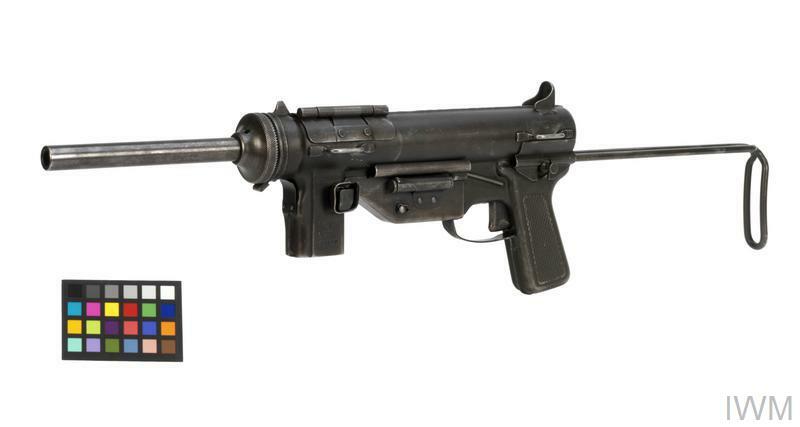 Nicknamed the 'Grease Gun' because of its appearance, the M3 was easy to shoot, due to being well balanced and having a low rate of fire. Unfortunately (as in the case of the Sten) its reliability was undermined by a poorly designed magazine. This particular weapon was captured from the Chinese 'People's Volunteer Army' in the Korean War. It is a trophy of the celebrated action fought on the night of 28-29 May 1953 by 1st Battalion, The Duke of Wellington's Regiment, in defence of a ridge known as 'The Hook'. The Chinese were defeated in their attempt to seize the ridge, in one of a series of attacks intended to strengthen the hand of North Korea in the peace negotiations, which were in progress at this time.